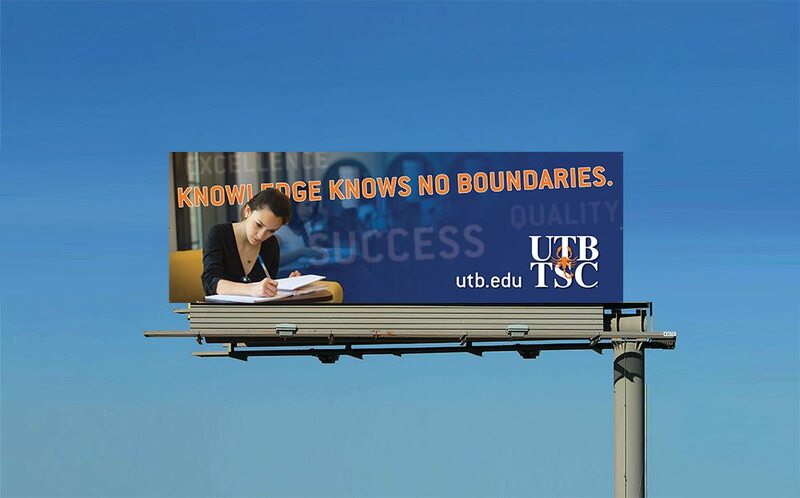 When UTB & Texas Southmost College (TSC) first came to AMG, enrollment rates were less than adequate, and the community did not view the institution favorably. This problem contributed to low enrollment, low student morale, and low community involvement. 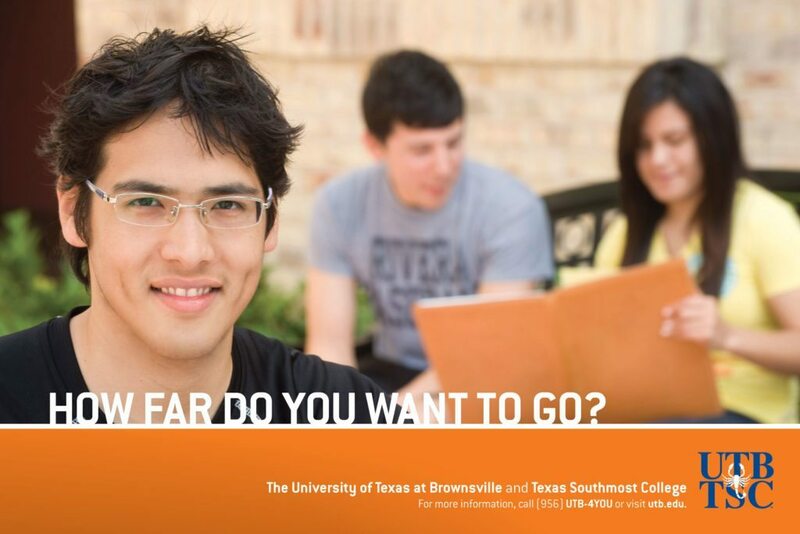 Students were unaware of the programs associated with UTB, and ended up relocating to attend college elsewhere instead of staying in Brownsville. Target prospects with messaging that focused on the UTB/TSC open enrollment policy. 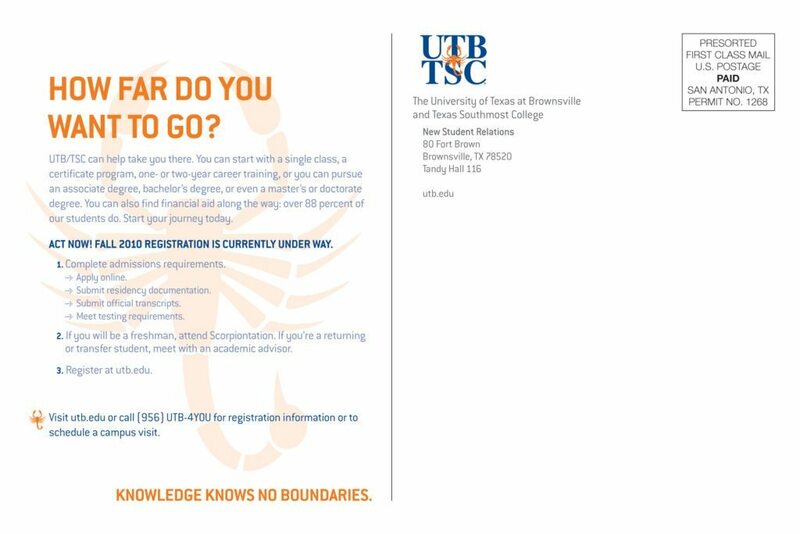 Through UTB’s partnership with TSC, prospective students could take advantage of open enrollment, which eliminated a barrier to college entry. 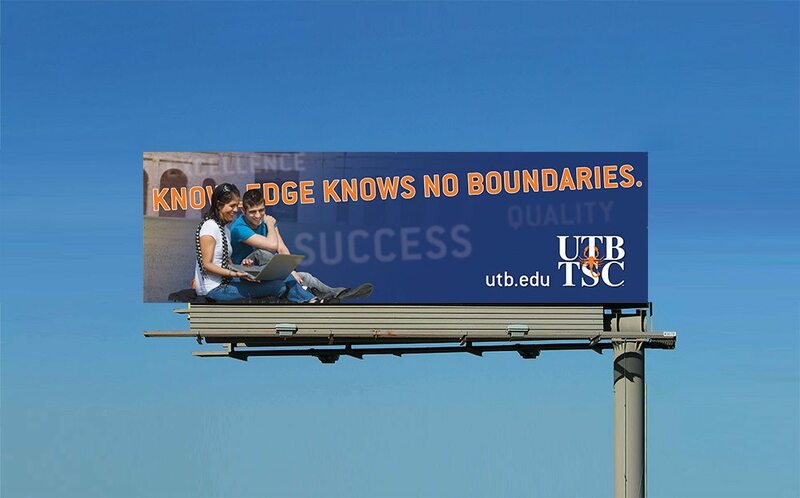 Once enrolled and completing classes, students could then continue their academic careers with UTB and eventually obtain their degrees. AMG created a variety of creative executions to place in and around local high school campuses in the Rio Grande Valley. 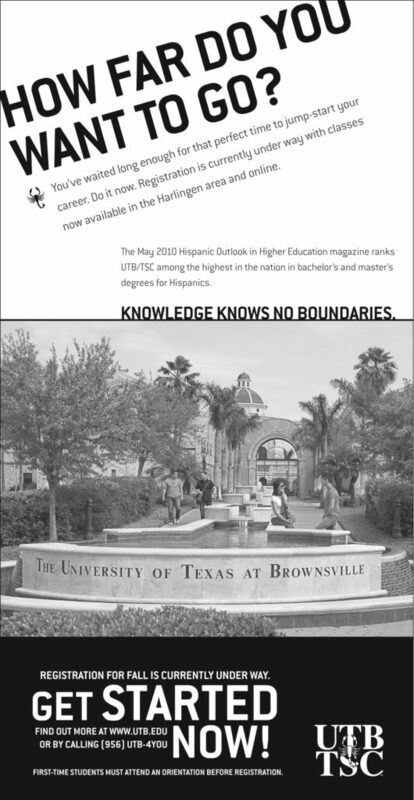 The campaign included print ads, TV and radio spots, as well as online ads and direct mail emphasizing the “Knowledge Knows No Boundaries” theme. The goal of the campaign was to inform prospective students that there was a high-quality university right in their own backyard – that they didn’t need to go outside of the market for a great education. And with the UTB/TSC education they received, there would be no barriers to how far they could go in life. 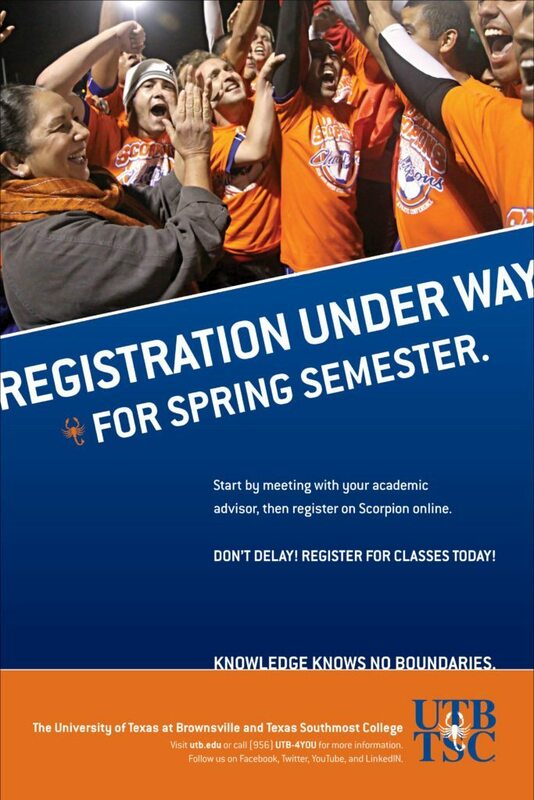 The campaign also told prospective students what kinds of degrees were available through UTB & TSC. 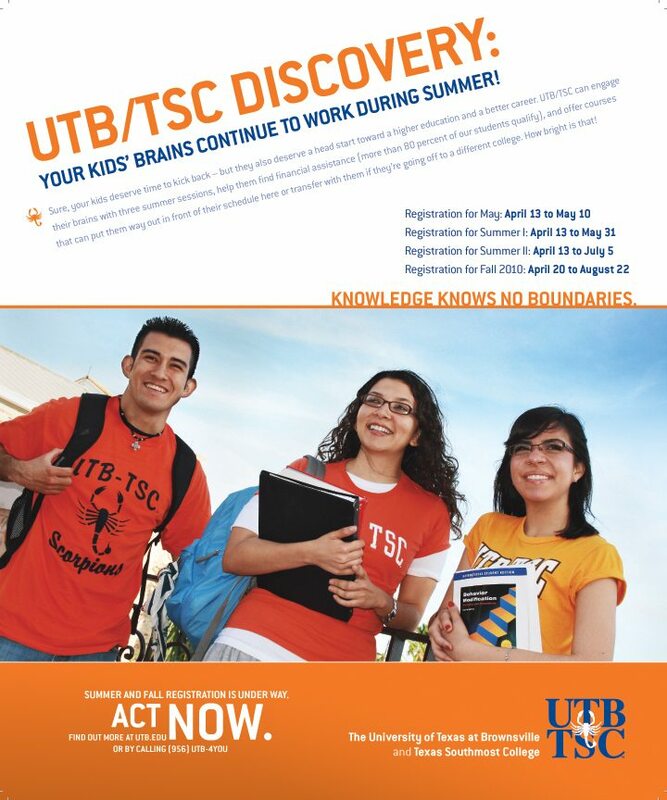 Since the community was initially unaware about the level of excellence at UTB/TSC, this aspect of the campaign also allowed us to showcase those degree fields and boost the schools’ reputation.